Thank you to our friend, Mr Avery, for organising this project and creating this post for us! 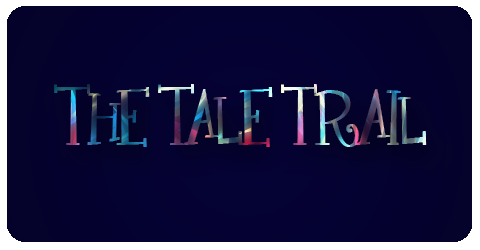 In the coming weeks, we’ll be taking part in a collaborative project called The Tale Trail. Classes will be joining together to write and illustrate a story through their blogs. It will start with one class writing the first part of the story and posting it to their blog. Then, the next class will read the beginning of the story and add on to it through their blog. We’ll continue until we get to the last class. They’ll put the finishing touches on it and wrap the whole story up! Each class will have 3 school days to work on their portion of the story. At the bottom of each post, there will be links to the parts of the story that have already been done as well as the next part of the story once it’s finished. In order to read the whole thing, you’ll be taken on a journey through the blogs of all six classes. Down below you’ll be able to find the dates around when each class should be posting their portion of the story. You can also see a map showing the locations of all the classes. Of course one of the most important story elements are plot, characters, and setting. The plot is what takes place in a story. The characters are who is in the story. The setting is when the story takes place. As of right now, all of that is missing from ours! We need your help in voting for what our story will be about. Use the poll below to vote for your favorite story topic. Voting will close on Saturday, May 5th. Then, check Mr. Salsich’s class blog next week to find out what topic was chosen as they kick off the first part of the project! What topic did you vote for and why? What’s your favorite part about writing a story? This entry was posted in Blogging Buddies, Global projects, Literacy and tagged Blogging Buddies, collaboration, stories, Tale Trail, writing by Kathleen Morris. Bookmark the permalink. I hope you all have a fun time tomorrow,Thursday 3rd of may at your blogging afternoon! And have fun with your “Tail Trail”. What a great comment! I was inspired by the way you wrote the comment. Well, I think all of us will have so much fun telling our relatives how to comment. Too bad none of my family members could come to the blogging. Hi! My name is Liv S and I’m in Miss Jordan’s class. I absoloutley love blogging. Thanks for a quality comment! We love to hear from parents. I think every student in 4KM and 4KJ had a fabulous time at Family Blogging Afternoon. You have got a great blog. I like your “Joke of the day” widget on the sidebar. One of my favourite jokes is the one about the volcano! I hope your class enjoys making a story with the kids from the other classes. I will look forward to reading it, I hope it will be funny! Yes, I also like our Joke of The Day widget because I read a few jokes and my favourite one was about the boy who ate his homework! Our class will enjoy it and I hope you do too. I also hope it is funny! What topic did you pick on our survey? My story Idea “The younge girl that got a chicen for her Birthday ect. I agree “The younge girl that got a chicen for her Birthday” sounded in Interesting but I voted for “The evil computer that swallowed the children”. I agree that The girl who got a chicken for her birthday was a great idea.But I voted for the evil 👿 computer who swallowed the children like Lilli. They are all great ideas.There were some very funny ones too. Patrick has just told me about the family blogging month, and I am really excited about it! I really hope that this “around the world” story goes well, and I hope you have a wonderful month in May! What a fantastic idea. I think Mr Avery has come up with a fantastic idea which makes each student really think about what elements are required to create a story. Thanks for a quality comment! We absoloutley love to hear from parents! I’m sure 4KM, 4KJ and our Blogging Buddie’s will enjoy ‘Tale Trail’. I’m really looking forward to it! I can’t wait to see what the story comes out like. 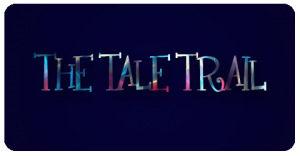 I think The Tale Trail is a fun project for all six classes.I wonder what topic the story will be about?I guess we will just have to wait until May the 5th. I voted for the evil 👿 computer who swallows the children inside it.I voted for it because it looked like a dangerous adventure and I like dangerous adventures. My favorite part about writing a story is the the writing part because you get to think up all the things the characters can say and do. Hi, my name is Liam. I am Sophie’s brother. I am in 2MD. The Tale Trail project sounds really fun.In 2MD we are doing quad blogging with Mr Avery’s class and Mrs Watson’s class. I hope you enjoy doing the The Tale Trail project! I think this is a great post. “I voted for The evil computers that swallowed the children”. Thanks for the great comment on our class blog. I think the Tale Trail will be lots of fun. I voted for ‘The secret tunnel under the schhol’. hi! I’m Tahlia Indiana’s sister.I’ve herd a lot about 4KM and 4KJ.I love your blog and the new post about The Tale Trail.It looks like a very exciting project you are doing with five different classes from around the world.I wish I had a blog in my class too.I am looking forward to your next blog post. What a great post! Thank you Mr Avery for writing it. I think the Tale Trail project will be lots of fun. I think it will be exiting writing the last part of the story. I think the Tale Trail project is a very clever idea. Who thought of it? I can’t wait to know what the project topic will be. I voted for the one where a tunnle at school is found and it leads to somewhere. Hannah and I are looking at the blog together and we think this is a great idea too, Hannah and I also have picked the tunnel under the school theme for the story line.We think this would make an exellent story. Thank you for replying to me. I think it is great that Hannah is teaching you how to blog. I agree with you the tunnle under the school would be a great story line. Hi its Zali here(Clancys sister)Clancy is really ecited to be doing “Tale Trail” I voted for ” Ailiens stole the pizza” because i think it sounds bazzare and honestly, arent 99% of all the the stories you read are bazzare too. My favorite part about writing stories would have to be putting lots and lots of detail into drawing your pictures, because its really fun and interesting to see what you can come up with in your head. Thank you for commenting on this post.I voted for Ailiens stole the pizza too, because it sounds funny. If 99% of the storys are bazzare, what is the 1% other story then? We are both in Clancy’s class. We can’t wait to do your part of writtig.We are in the middle of family blogging afternoon. I think The Tale Trail is a brillant idea. I can’t wait till it is our turn to write the story. I really like your comment, for your 1st time that is. 😆 I hope you all do have a wonderful month. What a great idea story writing all over the world. You must be very excited Liv, I know how much you love your books. Nan and I are looking forward to seeing your story unfold. Love you Big Princess. I am so proud of you for getting on the blog. I was so happy to see your comment. I know you visit the blog each day to see what we are up to. You are wonderful. We are having heaps of fun here at Family Blogging Afternoon! We are excited to see what stories will come to life with the Tale Trail. We voted for the option ‘The tunnel under the school’. We liked it because you can have an amazing adventure at school. I’m very impressed about 4KM and 4KJ doing the end of the story, I’m sure it will be fun. What’s exciting about the Tale Trail for you going to be? The Tale Trail sounds like it will be a lot of fun. I think the stories you will come up with will be very funny. Sophie chose the tunnel one. Where will the it lead to? If I was in the class I think I would of picked the story about the chocolate trees. I love chocolate! It’s going to be so much fun doing the project with Mr Avery and Friends. I am going to vote for the Aliens stole the pizza. I can’t wait to write the story. It will be good to finish off the story and that’s what we are doing. I think the tale trail is a great idea .I voted for the under ground tunnel under the school I hope that wins the vote. Wow! What a great afternoon learning about blogging! It was so much fun finding the answers to the quiz! I thought is was very exciting to talk to Mrs Yollis from America on skype! And hear why she feels that blogging is so beneficial to young students. Thanks for a very enjoyable afternoon! What a great comment! I think everyone enjoyed the Family Blogging Afternoon. I agree with you, it was so much fun finding all the answers to the quiz. I also thought it was fun skyping with Mrs Yollis.I think everyone enjoyed skyping with Mrs Yollis. We think the story idea is great! Everybody will be able to have fun writing a part of the story. We voted for the magic carpet one but we can’t remember what it was exactly called. Georgia’s favourite part of writing a story is the problem because you get to find out how to solve it in the next part of the story. Dorothy’s favourite part of writing a story is the end because everybody lives happily ever after. This looks like an amazing project. I hope I have the chance to see the story develop. Your ideas sound very interesting and as if they’ll be fun to write about! I can’t wait to read them and see what you guys have come up with. I voted for the backwards universe, sounds like a great idea! From Hannah and Rebekahs Dad (Matt. )The girls just love blogging and asking family members to submit blogs. So I am saying hi again !! The Girls have had a good weekend and are looking forward to school tomorrow. Have a good week everyone from Hannah and Rebekahs Family. I would like to say I love the evil computer idea. Your blog is AMAZING!! We have just started our own blog and we are very excited about it! Maybe you could visit our blog and give us some hints and ideas on what we could add? The ‘tale trail’ is a fantastic idea, how did you come up with the project? We chose the topic where someone steps into a portal into another world where everything is backwards. This topic for make a great story because it is very unusual. Our class likes to write stories because they can use their crazy imaginations. We look forward to reading the tale trail! I hope that you all enjoy this adventure. that I choose.Enjoy and have fun. Its great to see the student teachers enjoying their time with the grade 4 students. I think grade 4 would be a great level to teach also. The kids are at a great age to learn and take in so much.Its good to see them learning extra computer skills through the blogging program. Keep having fun while learning. From Rachel. Your blog is AMAZING!! We have just started our own blog, and we are very excited about it! Maybe you could give us some hints and ideas on what we could add? The ‘tale trail’ is a fantastic idea. How did you come up with the project? We chose the story where someone steps into a portal into another world where everything is backwards. This would make a very unusual and imaginative story. We like writing stories because they can be as crazy as we want them to be! Thank you for visiting our blog and leaving a comment.My name is Sophie and I am in 4KJ. It is lots of fun having a blog. On your blog it is great to put posts about things that are happening in your school and what you are doing in the classroom. We didn’t come up with the idea of the Tail Trail but our blogging buddy Mr Avery did and he created the post. Thanks I also think our blog is AMAZING! Good that is really good you have started your own blog I will definitely visit there and leave a comment. Yes I can give you some ideas for your blog. 1. You should add a cluster map to show how many visitors are going on your blog. 2. You could add a Joke of the Day and people love that. 3. You can add a date teller which can tell upcoming events. 4. You can even add a link to fun educational games. 5. Last of all you should add a tag bar to give you links and names to blog posts. I’m sorry but that’s all the stuff I can tell you. So I would be asking him not us. Happy writing and blogging Trent.